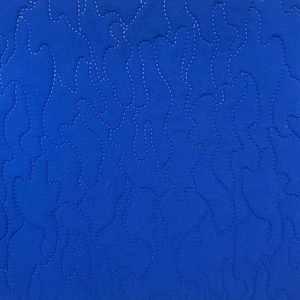 ,Ltd establised in 1998, we have been doing fabric for many years. We are sure any of your feedback will get our close attention! 1. How to place an order9 Once you find us, you can place an order on Alibaba or signed contrat with us. 1 YRS Guangzhou City Yisen Leather Co., Ltd.
best-selling camouflage faux leather fabric for clothing Product name best-selling camouflage faux leather fabric for clothing Thickness 0.4mm or as your demand Width 54/55" Mterial Pu Surface Any color/texture available Item camouflage leather fabric Hand feeling Softness/hardness/or according to client's requirement Usage making garment jackets Sample We offer free sample but the freight would be charged. Delivery 10-15 days affter 30% deposit MOQ 500Meters Payment term T/T company profile workshop show why choose us payment and shipping contact us Tel:+8613916187284 WhatsApp:+8613916187284 Thank you very much for viewing this page, and wish you a nice day! 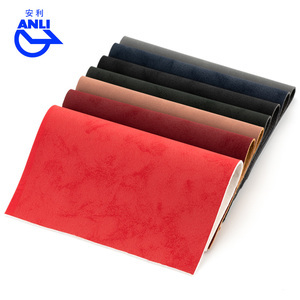 Q:What is the imitation bags free embossed leather samples minimum order quantity9 A:At least 500meters. Q:What is imitation bags free embossed leather samples payment term9 A:L/C at sight or 30% T/T BEFORE PRODUCTION, 70% DOWNPAYMENT BEFORE SHIPPING. Q:What about delivery time9 A:Usually 10 to 15 days. 4.Usage: Sofa, Chair and other funitures 5.Quality standard: Certificate of SGS,EN,SGS,ROHS can be supplied. 2. What We Serve to Our Customers: Best Service : we work for this line More Than 11 Years Experience In This Area. We Have QC Department To Ensure Each Cargo Was Well Produced And Packed Before Delivery. 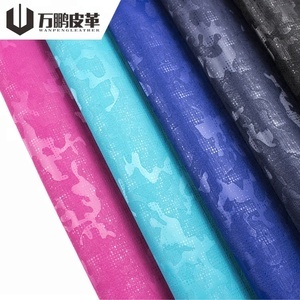 3 YRS Fujian Bangde Synthetic Leather Group Ltd.
11 YRS Zhejiang Baideli Leather Co., Ltd.
10 YRS Haining Yalan Industrial Co., Ltd.
2 YRS Shaoxing Baocai Digital Print Textile Co., Ltd.
Is your price competitive 9 We believe nice items are not cheap, and cheap never meets nice quality. We make nice items, they are not cheap, but you will not feel disappointed, because they are worthy. Is the customized pattern unique to us 9 We ensure your pattern will be kept secretly and we can sign confidential agreement. 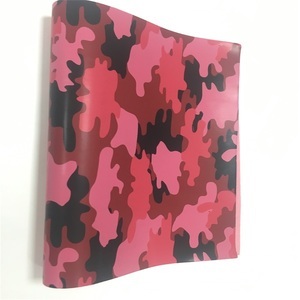 Alibaba.com offers 3,629 camouflage leather fabric products. About 6% of these are synthetic leather, 2% are 100% polyester fabric, and 1% are genuine leather. 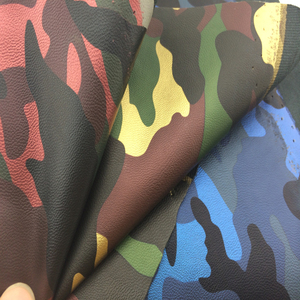 A wide variety of camouflage leather fabric options are available to you, such as decorative, bag, and shoes. You can also choose from abrasion-resistant, waterproof, and anti-mildew. As well as from printed, embossed, and finished. 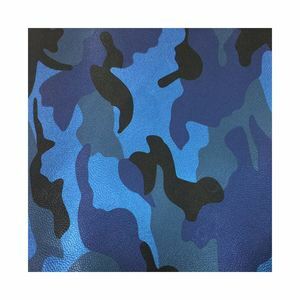 And whether camouflage leather fabric is pu, or pvc. 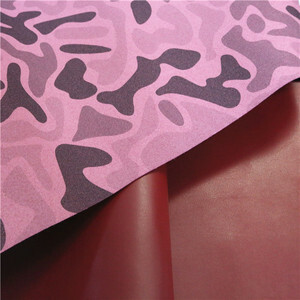 There are 3,629 camouflage leather fabric suppliers, mainly located in Asia. 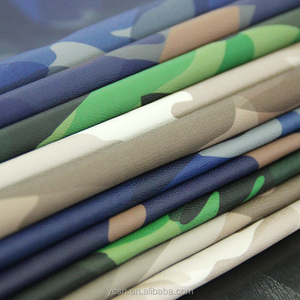 The top supplying country is China (Mainland), which supply 100% of camouflage leather fabric respectively. 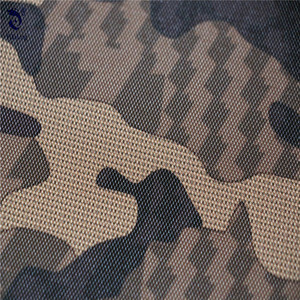 Camouflage leather fabric products are most popular in North America, Northern Europe, and Mid East. You can ensure product safety by selecting from certified suppliers, including 231 with ISO9001, 146 with Other, and 94 with BSCI certification.